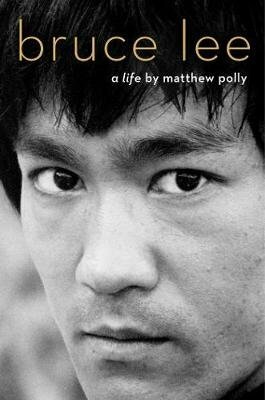 More than forty years after Bruce Lee's sudden death at age 32, journalist and author Matthew Polly has written the definitive account of Lee's life. It's also one of the only accounts; incredibly, there has never been an authoritative biography of Lee. Following a decade of research that included conducting more than one hundred interviews with Lee's family, friends, business associates and even the mistress in whose bed Lee died, Polly has constructed a complex, humane portrait of the icon. There are his early years as a child star in Hong Kong cinema; his actor father's struggles with opium addiction and how that turned Bruce into a troublemaking teenager who was kicked out of high school and eventually sent to America to shape up; his beginnings as a martial arts teacher, eventually becoming personal instructor to movie stars like Steve McQueen; his struggles as an Asian-American actor in Hollywood and frustration seeing role after role he auditioned for go to a white actors in eye makeup; his eventual triumph as a leading man; his challenges juggling a sky-rocketing career with his duties as a father and husband; and his shocking end that to this day is still shrouded in mystery. Polly breaks down the myth of Bruce Lee and argues that, contrary to popular belief, he was an ambitious actor who was obsessed with martial arts-not a great kung-fu master who just so happened to make a couple of movies. The book offers an honest look at an impressive yet flawed man whose personal story was even more entertaining and inspiring than any fictional role he played on-screen.